NUDURA has been developing high-tech industry-leading insulated concrete forms for building an ICF wall that have proven technologies to make building easier and faster. The NUDURA line of ICFwall products offers innovation that is exclusive to NUDURA which allow builders, architects, and engineers the ability to build and design commercial and residential structures with greater efficiency. NUDURA offers this exclusive technology throughout the entire Insulated Concrete Form line. NUDURA ICF products provide industry-leading technologies that can only be found in NUDURA Insulated Concrete Forms. 1. DURALOK Technology™- Our patented Fastening Strip securely locks forms into place with a patented reversible triple tooth interlock, eliminating float and compression and the need to wire forms. The DURALOK Technology™ has embedded web/fastening strips that run the full 18-inch height of each and every web, ensuring the ICF forms do not compress during concrete placement and providing an industry-leading continuous fastening strip for finish materials. 2. 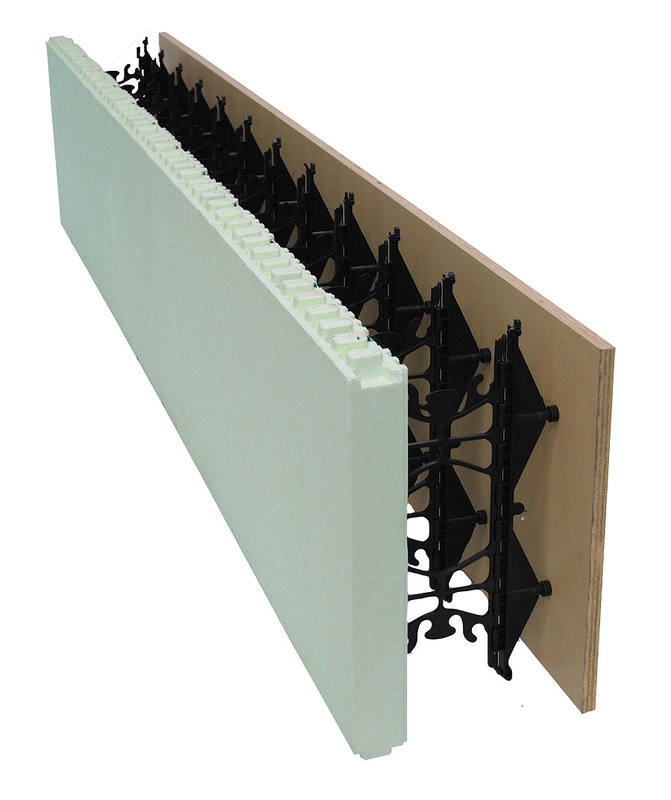 DURAFOLD Technology™- Our Patented Hinged Web allows NUDURA ICF Products to be shipped flat, allowing for 40% more product on a truck compared to other ICF products. 3. DURAMAX Technology™- NUDURA® Standard Forms offer DURAMAX Technology™, the largest standard Insulated Concrete Form in the industry measuring 8 feet X 18 inches, allowing the placement of 12 square feet of wall area in one building step. Building with DURAMAX Technology™ results in faster installation times, less waste, and a reduced amount of seams, compared to other Insulated Concrete Forms. 4. 4-WAY REVERSIBLE System - The patented foam interlock allows the form to be 4-way reversible, almost eliminating waste. Eliminates left and right corners which allow NUDURA ICFs to be used in twice as many scenarios as no-reversible forms. The One Series will offer users the ability to reduce labor by not having to strip foam for elevator shafts, stairwells and other areas that do not require foam. The One Series gives architects the ability to have more versatility with design for multi-storey, educational and commercial warehouses. For home builders, the One Series is ideal for pools and anywhere only one side of foam is needed. Transition between concrete and foam is seamless, the unique design allows concrete to meet with the outside edge of a NUDURA foam panel. The DURA MULTILINK Technology web, uses smaller attachment points that have been created to alleviate webs being visible in the concrete side of the wall. This innovative design features only two small connection points per web that are easily covered over and hidden. The end result is a smooth interior or exterior surface. How does it work? The One Series combines traditional forming methods and Insulated Concrete Form technology together. NUDURA supplies all of the materials necessary to complete the mulit-link form, from the webs, form ply, screws and specially designed jig to make assembly easy and fast. The form ply pieces are pre drilled which eliminates the need for onsite drilling, installers simply assemble to the desired form combination quickly and easily. Combine this with NUDURA’s innovative existing ICF panel system, custom form combinations and transitions between 90°, 45° are easily done. Once the job is completed all of the form ply panels can be stripped, cleaned and reused for the next job, eliminating waste and further cost. Visit the Nudura product page here. Want more information on NUDURA Insulated Concrete Forms? Drop us a message or visit NUDURA's website to learn more!